The fusing of the spine in those with ankylosing spondylitis (and in some with other forms of SpA, with spinal involvement) makes them more susceptible to spinal fracture both after an accident and even in the course of being moved or treated by first responders. This situation may be compounded by the presence of secondary osteoporosis. Those with cervical involvement need special attention and care regarding intubation. Many of us take medications that suppress our immune system (biologics, biosimilars, DMARDS) which makes us more susceptible to infections than the general population. First responders and medical personnel need to be made aware of these factors (as well as any other significant medical conditions) as soon as possible. The best way to ensure this is by wearing ID identifying your conditions, medications and special needs. 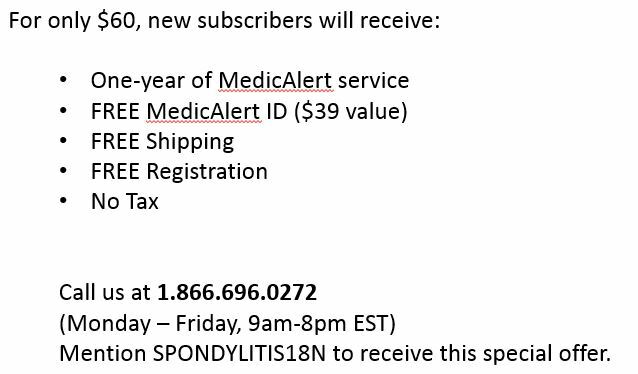 Because of this, the Canadian Spondylitis Association is pleased to announce that we have recently partnered with the MedicAlert Foundation (www.medicalert.ca) which offers benefits over other medical ID available. 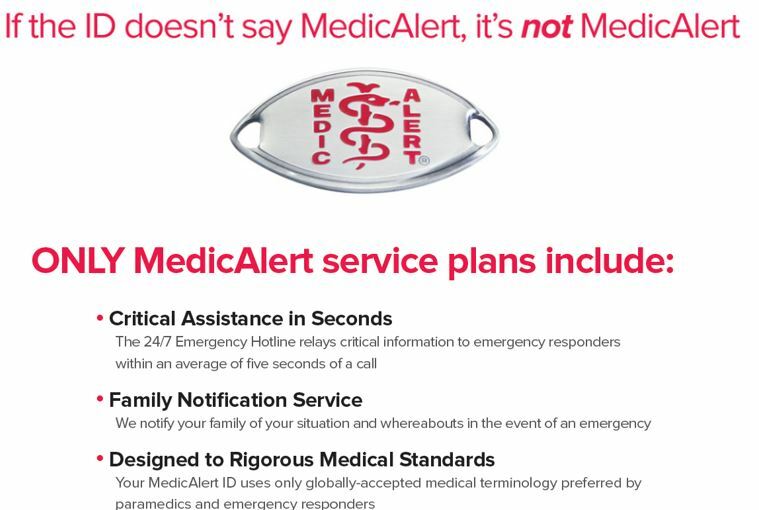 Please be aware that the MedicAlert Foundation website offers a large variety of choices regarding ID styles, in addition to the free one being offered here and that financial assistance is available for anyone unable to afford their annual registration fee. Simply contact them at the number given or through their website to enquire about this service. Use the term “Brittle Spine” in addition to Ankylosing Spondylitis (or spondyloarthritis) on any ID. 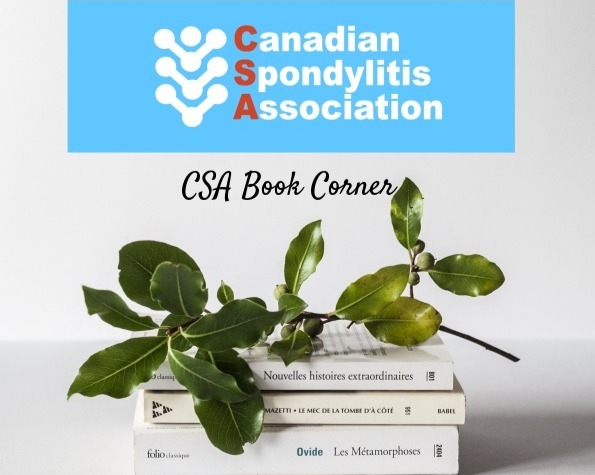 Ensure that the accompanying wallet card includes full medical history, emergency contacts and a full list of medications, especially immunosuppressants and possibly include the term “Immunosuppressed” on the ID if space permits. Carry the information card next to your driver’s license and health card in your wallet. ID worn on the wrist is more easily seen than something around your neck. Remember to update your on-line profile as your condition/medications change.